Quality outdoor tiles for the Sunshine Coast. Visit us at Production Ave, Warana to talk about your outdoor tiling needs. 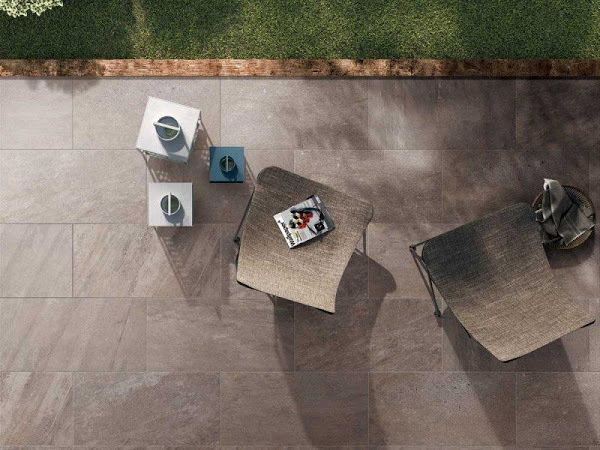 Our outdoor tiles are designed to withstand the elements and provide a safe surface for the whole family to enjoy. Talk to our team of experts right here on the Sunshine Coast about your outdoor tiling plans and we'll help you find the best tiles and products to meet your needs. We can provide you with quotes and samples to help you plan your project. The industrial look is here. The Lime series is an adaptation of the traditional concrete look, with its textured surface and brushed concrete design. It is packaged in 4 colours – Ivory, Coffee, Silver & Grey – with matching Chevron Decors to compliment the look. The large format size – 450 x 900mm – completes the raw, industrial design. This rugged, natural looking stone design encapsulates everything that is natural about this type of material. If you are looking for an organic, natural stone look you can’t go past the Quartz range. It is available in 3 colours; Cream, Silver and Grey. 2 size formats: 600 x 600mm and 450 x 900mm. The D’algarve Cotto is a traditional Tuscan looking terracotta style floor tile with a slight undulation to the surface. The colour tones are slightly mottled giving it that realistic look. It is available in 2 size formats: 300 x 300mm and 450 x 450mm. Contact us for a quote for your outdoor tiling project.